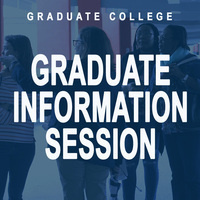 The Graduate College has created hour-long information sessions to provide you with an overview of Florida Atlantic University and our graduate admissions process. These monthly sessions will take place on select Thursdays throughout the year from 5:00 to 6:15 p.m. These sessions will be held in the Undergraduate Admissions Theatre (room 125) on the first floor of the Student Support Services Building on the Boca Raton campus, unless otherwise noted. These sessions will include representatives from the Graduate College, Testing & Evaluation, and Student Financial Aid. For students seeking academic advising from specific programs, departmental contact information will be provided.